Words: James Montgomery (1771-1854); first appeared in A Selection of Psalms and Hymns, 8th edition, by Thomas Cotterill, 1819. 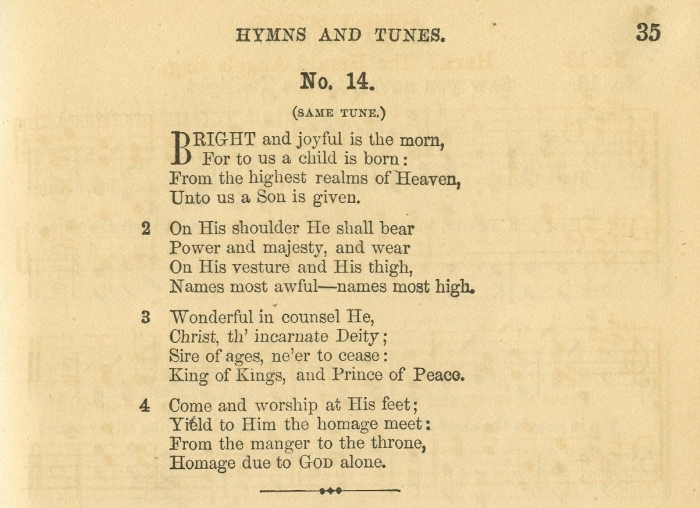 Sheet Music from John Clark Hollister, ed., The Sunday-School Service and Tune Book (New York: E. P. Dutton and Company, 1863, 1865), #12, p. 29. Sheet music from A. B. Goodrich, ed., A New Service And Tune Book For Sunday Schools (New York: Gen. Prot. Episc. S. S. Union and Church Book Society, 1863, New Edition, Enlarged, 1866), #14, p. 35. Notes indicate same tune as #13, "Hark! 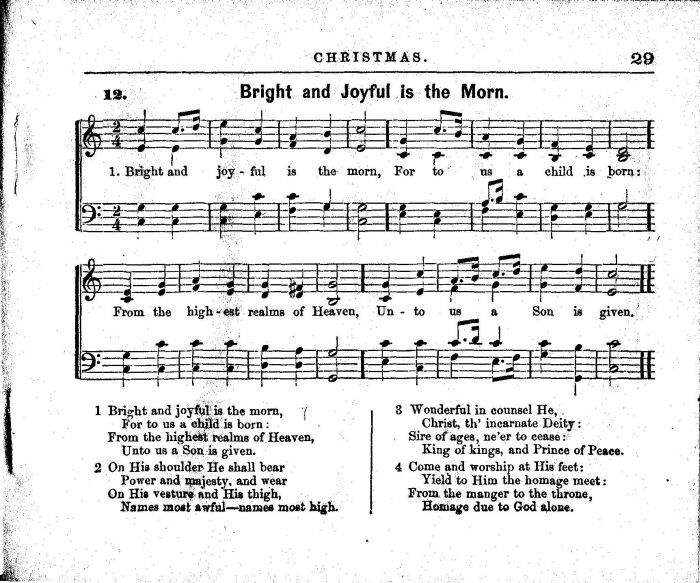 The Herald Angels Sing:"
Also found in A Selection of Carols, Pieces, and Anthems, Suitable for Christmas. (London: W. Kent and Co.; Penzance: F. Rodda, ca. 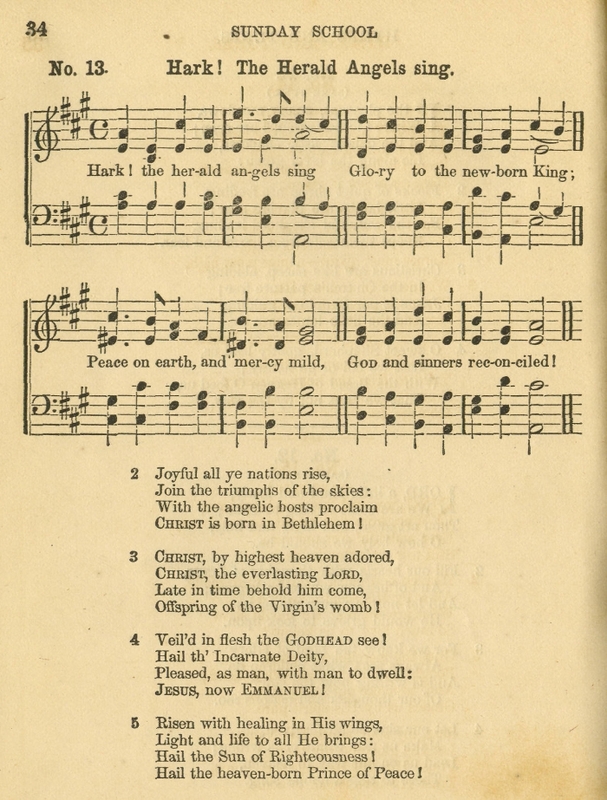 1872), p. 18, with one change in the second line of the third verse, the word "Christ" is omitted.